Notice: As of January 1, 2007, HitmanHQ is on editorial hiatus. While there won't be any new content posted, rest assured HitmanHQ will remain online as an excellent resource for the first three games in the series. And don't forget, the forums are alive and well. It's now time to wedge that knife of distrust a little further into soon-to-be defunct Blue Lotus and Red Dragon Triads. The hit 47 pulled off in the park has left the Triads even more wary than they were before, but they are still willing to negotiate a peace treaty. Of course, that's the last thing 47's contractor wants. Commence gang war. Sniper rifles are made for precise targeting, but this is just ridiculous. Thanks to CaDaVrE for this screenshot. Have an interesting or amazing screenshot? 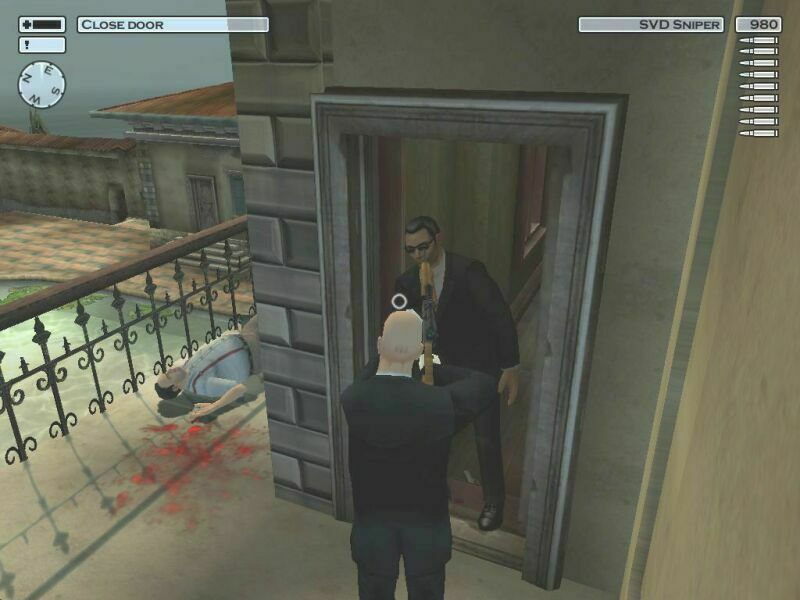 Send it to hitman@3dactionplanet.com. HITMAN 2: Using "dual handgun" bug, select the sawn-off shotgun for second gun. Holding down shoots twice, but keep clicking for swift sawn-off fatality. Thanks Brian | Send Tip!